Did you know that commercial roofing can save you monetarily? Well this content is not solely aimed at making you aware of how commercial roofers help you fix leaks, cracks or replace your existing roof with a new one it is also about how you can save your funds from outflow. This majorly indicates to the fact that commercial roofers help you avail better services at low cost and makes it possible for you to cut on your tax. Yes, being the building owner you have complete rights to avail advantage of tax credits. The Government is helping those opting for green roofing solution to avail benefits in tax payments. Advanced technology has helped come up with construction solutions that are environment friendly. 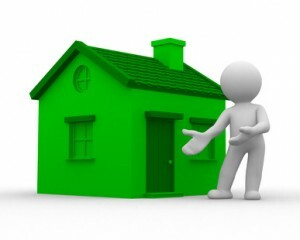 Green roofing adds money to your pocket because you get to save loads on energy. These types of installation makes sure you save on energy costs. They are eco-friendly and they help utilize the blissful sunrays. Green commercial roofs are designed in such ways that the sun rays are consumed and then utilized; the heat is then distributed throughout the building. Bio-tech companies are mostly found to make the best use of greener roofs. The federal Government ensures that owners of commercial buildings installing greener solutions can wholly access advantages of tax credits. This is simply because these roofing solutions ensure that you avail a reduction in energy costs. However, it is not feasible for the roofer to estimate on how much he would save by installing eco-friendly roofing solutions.